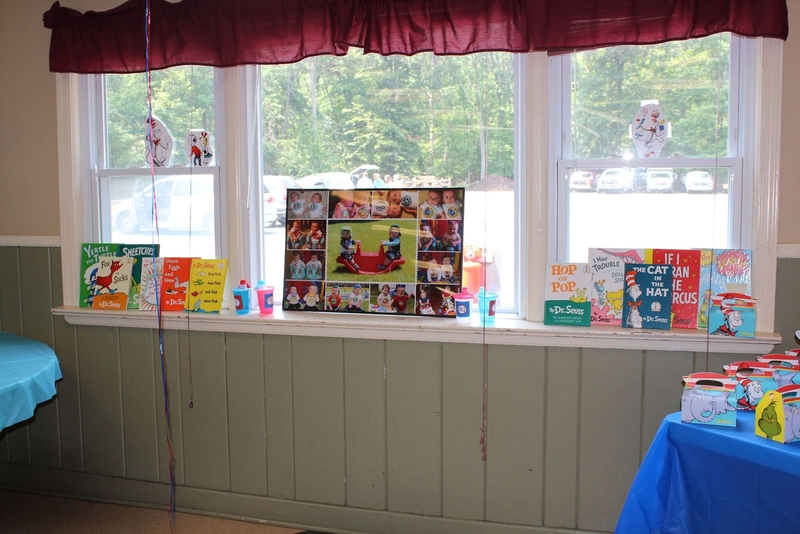 Easily Entertained – Page 2 – … parties, crafts, & celebrations that are anything but ordinary! This weekend you are in for a double treat! 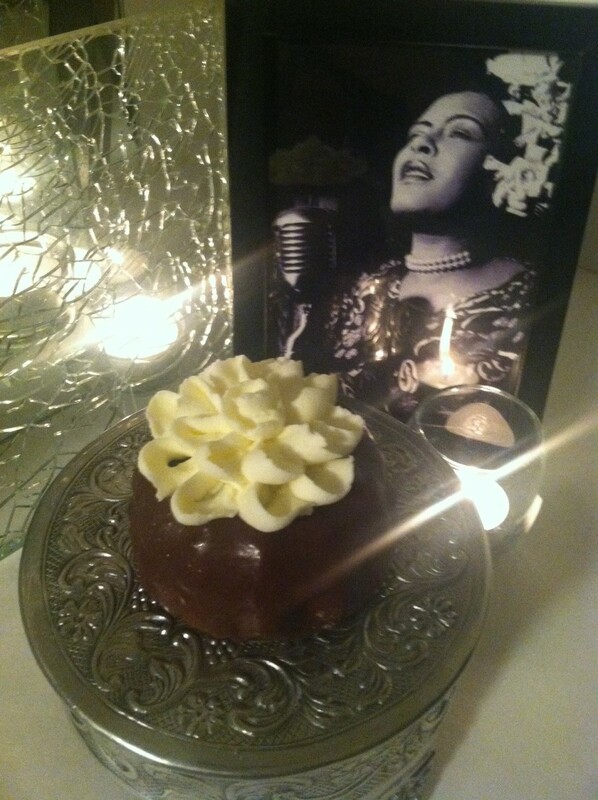 One that is sweet and chocolaty with a bit of bourbon and spice and one that is a fitting tribute to one of the greatest jazz vocalists of our time. 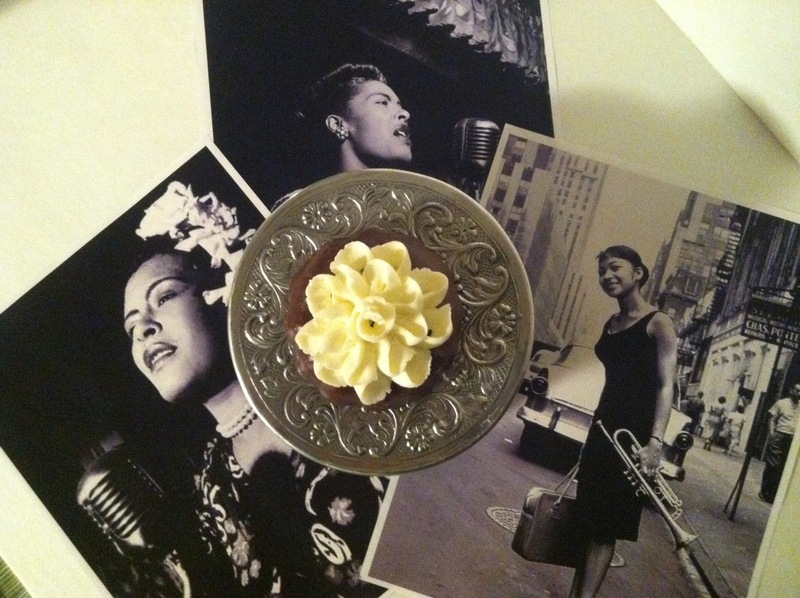 This Weekend you can see Tony Award® winner Audra McDonald as the legendary Billie Holiday in the HBO premier of Lady Day at Emerson’s Bar and Grill. 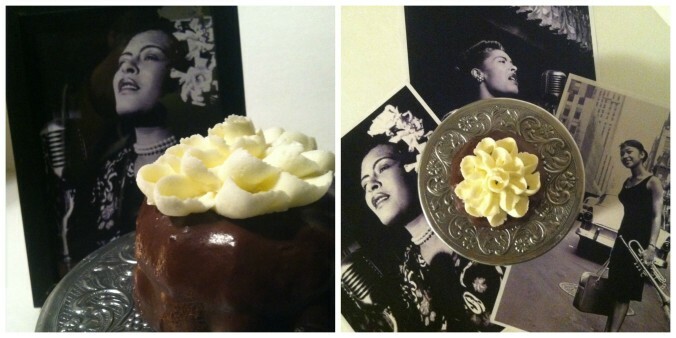 Lady Day at Emerson’s Bar and Grill was filmed before a live audience at Cafe Brasil in New Orleans, and features McDonald in the role she made famous on Broadway at the Circle in the Square Theatre. Originally written for off-Broadway by Lanie Robertson in 1987, the production tells Holiday’s life story through the songs that made her famous. Heat oven to 350°F. 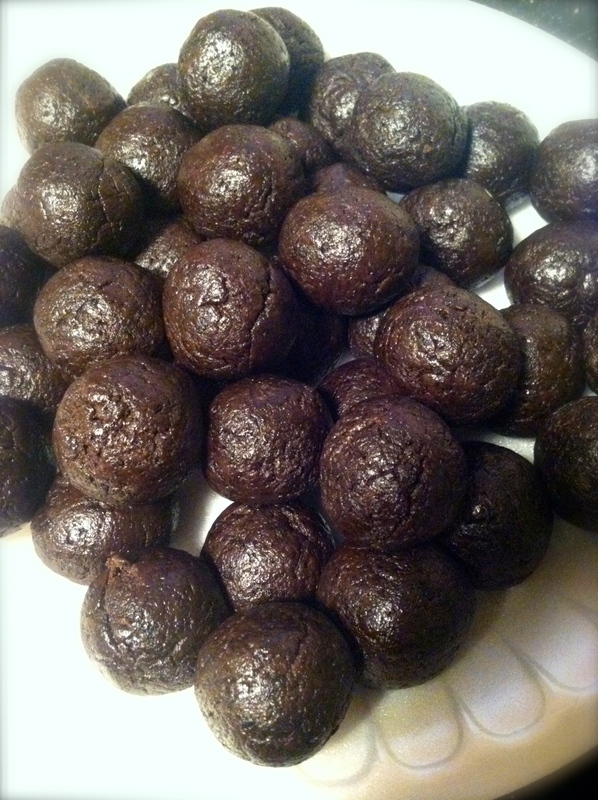 Generously spray your mini Bundt pan or 24 regular-size muffin cups with the baking spray. 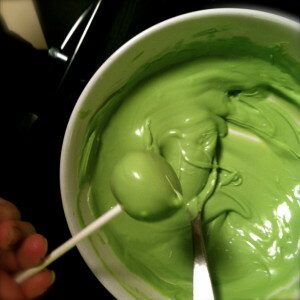 Make cake batter as directed on box, using cake mix, water, oil, bourbon, eggs and vanilla. Divide batter evenly among mini Bundt or muffin cups. Bake about 18 minutes. Check for doneness using a tooth pick or cake tester. Let cool. While the cakes are cooling you can make the icing gardenias. Mix butter in mixing bowl on low just until smooth. Then add your extract, 2 tablespoons of milk and 1 cup of the powdered sugar. Beat until combined. Then add the rest of the sugar one cup at a time and beat until smooth. We did not add any more milk, but if you think your icing is too stiff, you can add another tablespoon. Once all of the powdered sugar is incorporated, turn your mixer up to high for about 7 minutes. 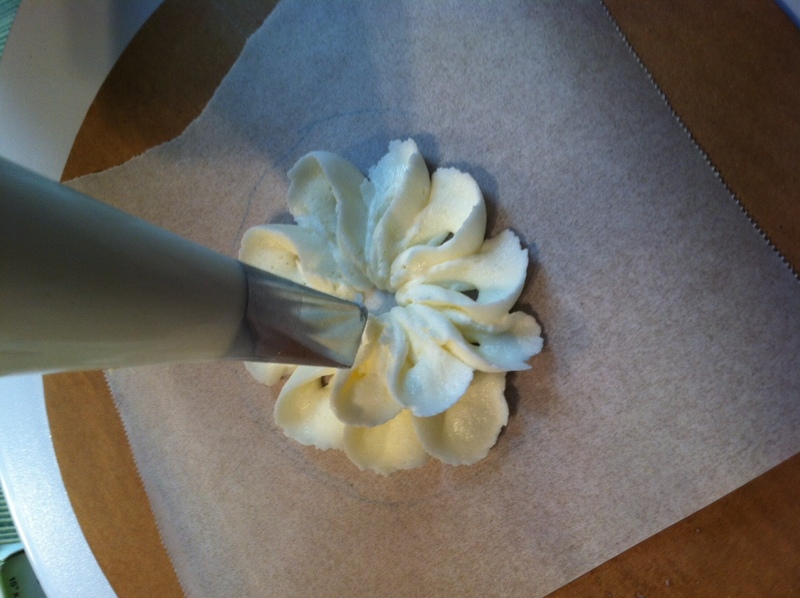 To make our gardenias we followed this fantastic video tutorial by Wilton. Easily Entertained Tip: Instead of piping your flowers directly onto the cake, pipe them onto parchment paper and place in the freezer to set. This way you can choose the best looking flowers to place on your mini bundt cakes. Heat heavy cream over medium-high heat until just boiling. Pour over chocolate chips in a glass bowl and let sit for about 10 minutes. Add salt and whisk together until smooth. 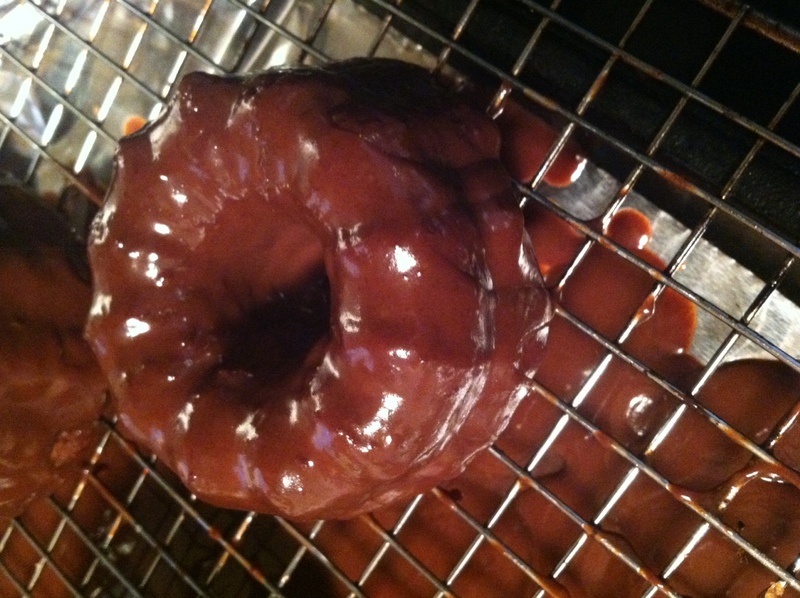 Once the cakes were cooled, we dipped them multiple times into our ganache, letting them dry slightly in between dips. Once they were dry, we placed a gardenia on top of each one. Lady Day at Emerson’s Bar and Grill airs Saturday, March 12 on HBO. Or in this case… out of a cupcake box. And we’re pretty sure that you’re going to want to bite THEM! 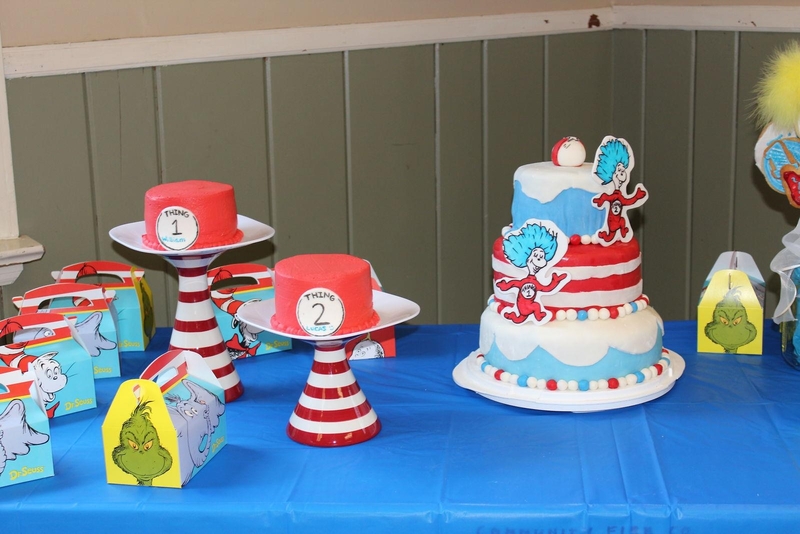 Since today is Dr. Seuss’ birthday, we are reminded of this Dr. Seuss baby shower- One of the first dessert tables we ever put together. 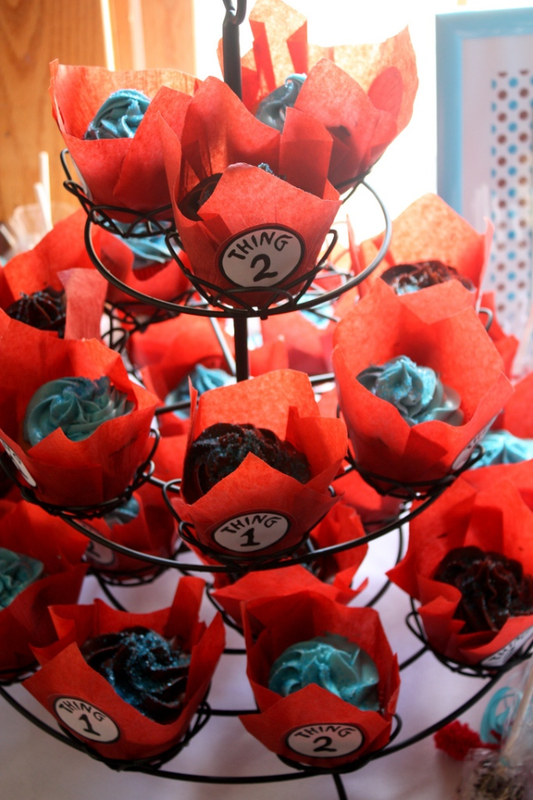 The cupcakes were a mix of chocolate and vanilla topped with bright turquoise buttercream. Icing. 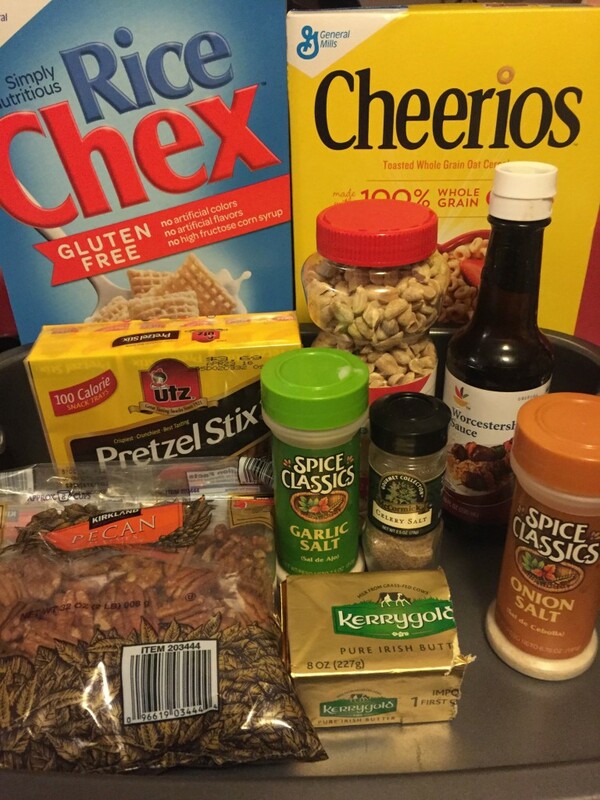 Can be either homemade from your favorite recipe or your favorite store brand. 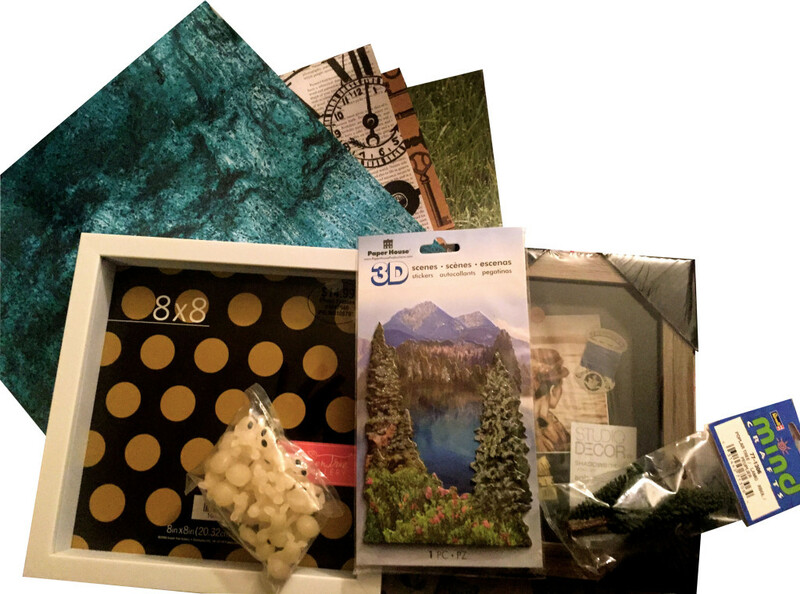 A decorating bag and your choice of tip or a large Ziplock or other plastic storage bag. Bake the cupcakes in the regular cupcake wrappers following the recipe on the box, or whatever recipe you have decided to use. While your cupcakes are cooling, work on your decorative cupcake wrappers. The design can be printed on whatever type of paper that you prefer- cardstock, full-sheet sticky labels or plain, old copy paper. We used plain, old copy paper. Then cut around the outside edge. Once they are all cut out, (or, if you’re lucky enough to have a craft punch of the same size- you can punch them out instead of cutting them), stick (if you printed them on labels), or glue them onto your red tulip cups. When your cupcakes are cool, you can get them ready to ice. Start by coloring your icing. 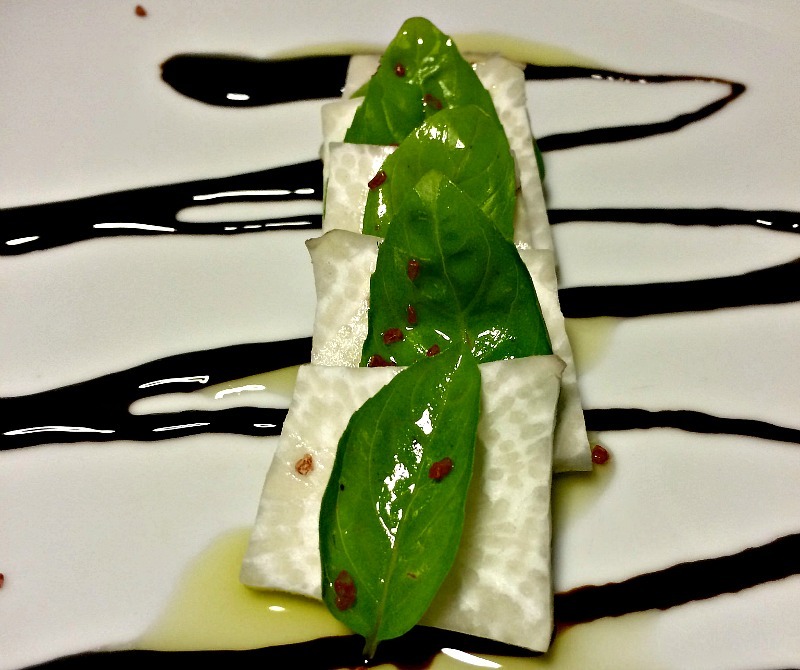 When using the gel type of food coloring remember- less is more. We like to start with a small amount, stir and then add more if we think it’s necessary. 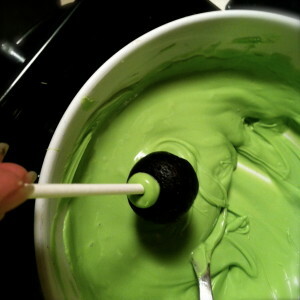 Using one of the toothpicks, scoop out a small amount of gel and add it to your icing. Use a spoon to give it a good stir and distribute the color. We want these to be bright teal, so you may need to repeat the process again (and possibly more than that.) with a new toothpick or the other side of your original one. You never want to put a toothpick that has icing on it back into your gel. Easily Entertained tip: If you are going to be serving them soon- we find it easier to put the cupcakes into the red wrappers before icing them. Or if you are making them in advance- you can ice them, put them into the fridge to set up and then drop them into the wrappers before serving. The point here is, that its harder… and messier to try and get just frosted and squishy cupcakes neatly into the tulip cups. You can use any decorating tip you prefer. The main idea here is to pipe the icing nice and high so that you can see it above the red wrapper. They’ll look nice on a platter, cake pedestal or cupcake stand. Once they are finished you can eat them any way you like- in a house, with a mouse, on a boat, with a goat, on a train, in the rain… well, you get the idea. 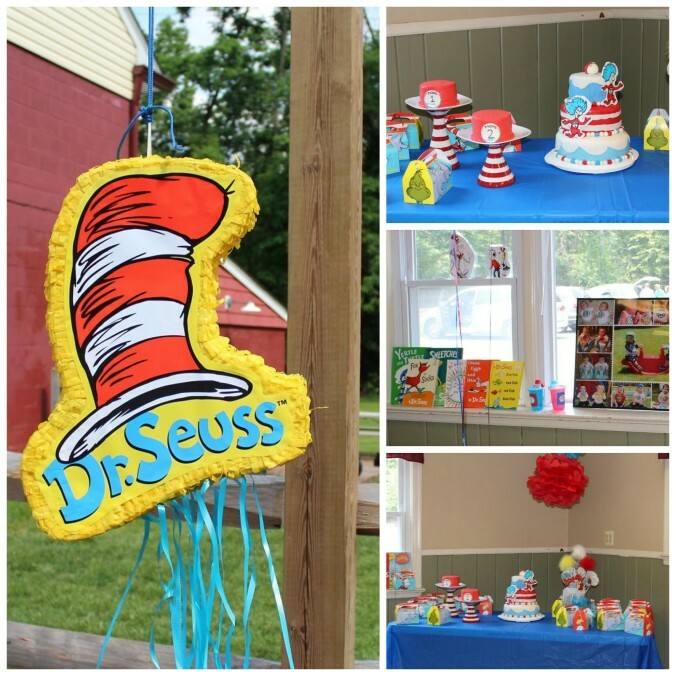 Since Dr. Seuss’ birthday is coming up on March 2 we wanted to share a great idea for a kids birthday party. 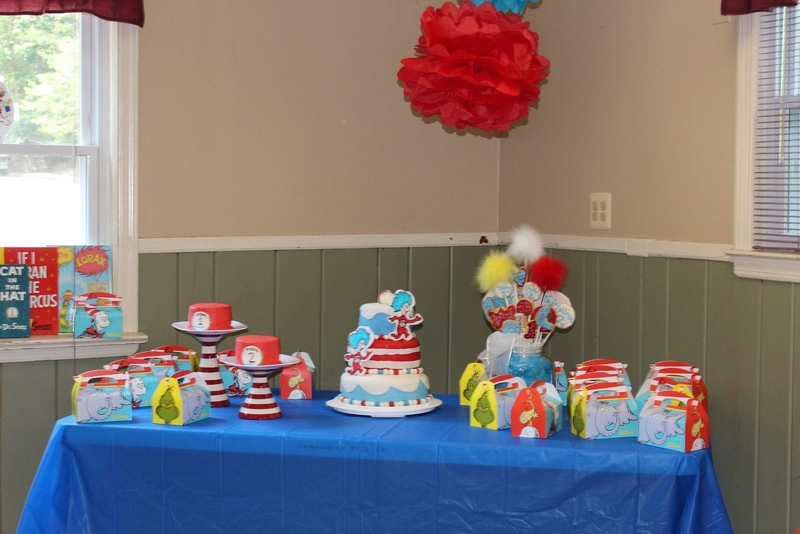 This particular party was for my twins first birthday. Because when finding out you are having twins wouldn’t the first thought be of thing 1 and thing 2? I know it was for me. For decorations we decided to display a few books from the Seuss library. We figured, why not go with the original? 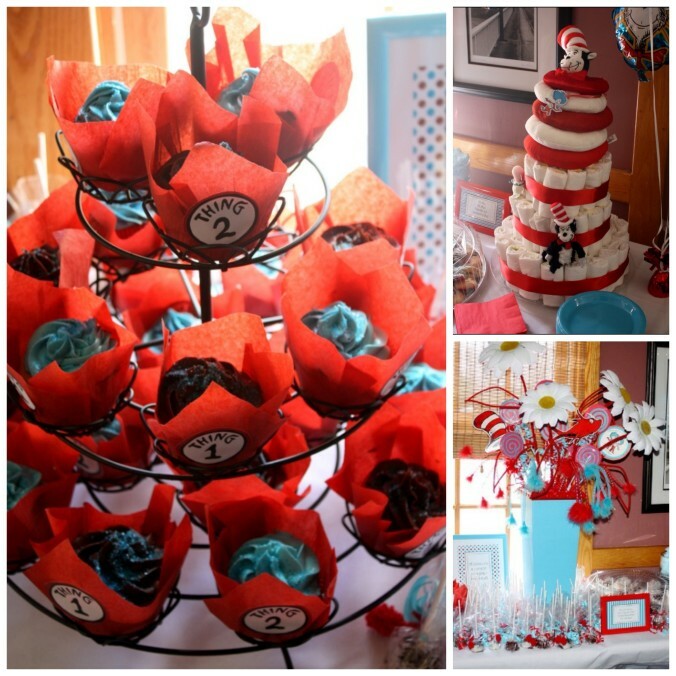 The other decorations that were used throughout the room were all purchased through Birthday Express and Etsy . To make the cake we found these amazing Thing 1 and Thing 2 Edible fondant cake toppers from Etsy and built the cakes around them. For the smash cakes we found red and white striped candle stick holders from Gold Canyon Co. and topped them with white 8 inch square dinner plates. Easily Entertained tip: If you can’t find the exact candle stick holders you can take plain white candle sticks and either paint red stripes or use red Duct tape. 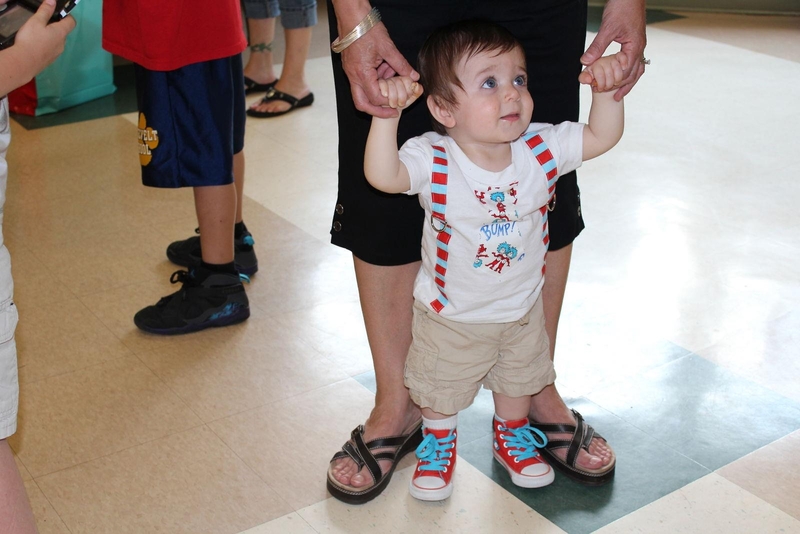 The most fun was finding infant size Converse. I just wished they were in my size! As this new, and hopefully not last, season (we’re looking at you Fox and hoping that this was a test to see if folks are still interested. Just so you know… we are!) 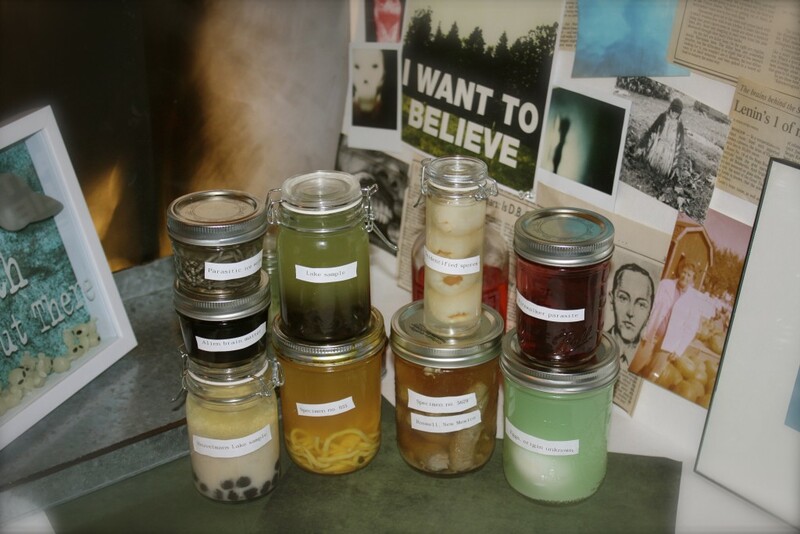 of X-Files comes to a close… we thought it might be nice to offer up a recipe to help ease the pain. This Black Oil Martini is as sweet as it is deadly. Skeptical? Just give it a try. A few of these and we’re pretty sure, that you’ll believe just about anything! Add black rum, cream de cacao, ice and 2 drops of food coloring to cocktail shaker and shake. Strain into glass and enjoy! The perfect drink to serve next time a member of the Syndicate drops by. And, if that member happens to be our personal favorite X-Files baddie, Cigarette Smoking/Cancer Man. 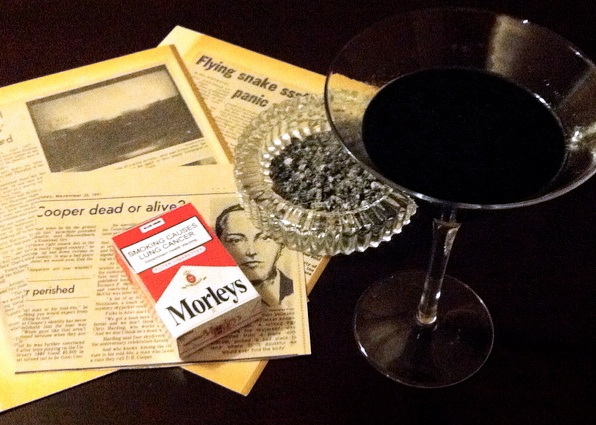 You’ll also want to make sure you have plenty of packs of Morleys on hand. 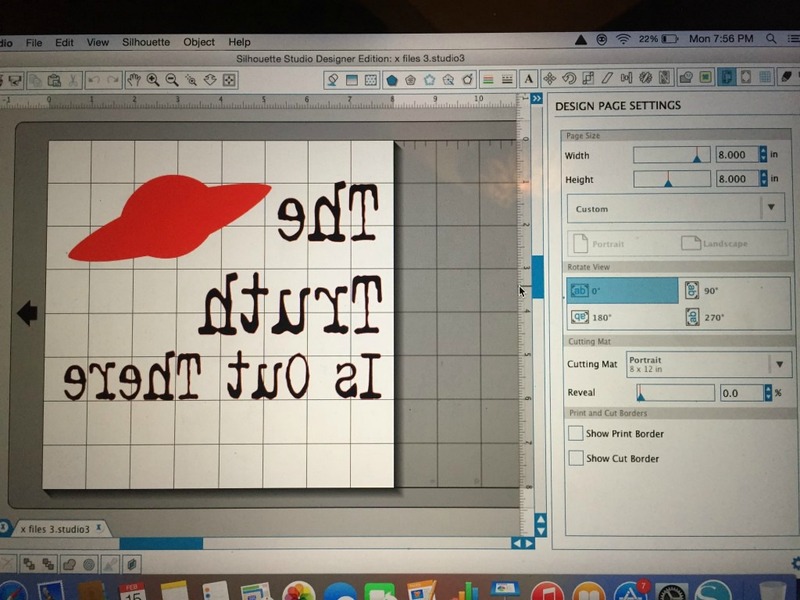 We made ours with this amazing free printable from Home Pacific. 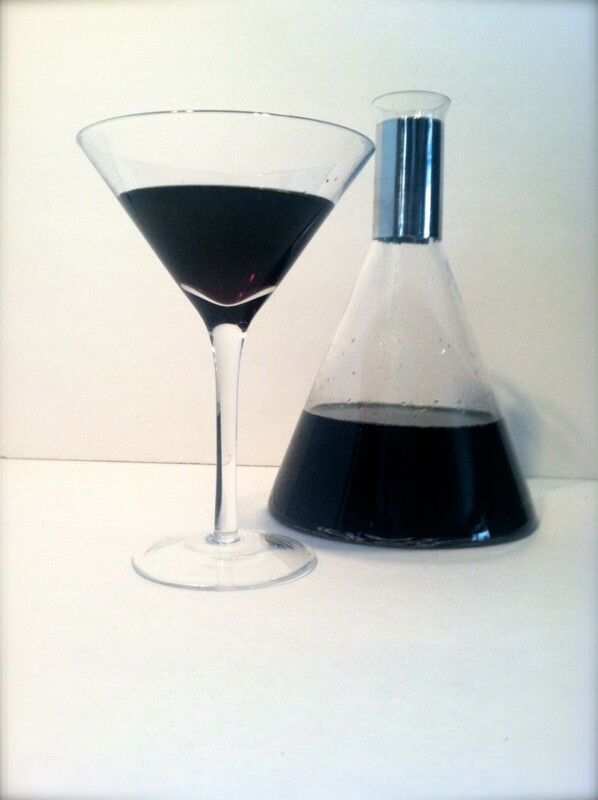 Martini based on the Black Widow Martini by Betty Crocker! Today’s post is a shout-out to both our home state of NJ, and one of our favorite X-files creatures. You can be a good… Host (see what we did there?) 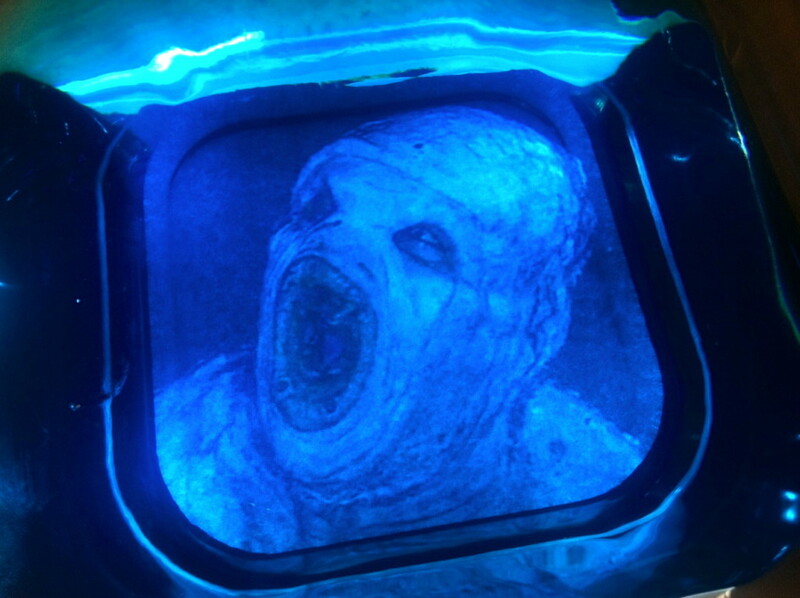 if you serve this Flukeman inspired dessert at your finale viewing party. This recipe is as easy as it gets! A little bit of boiling water is all you need to begin. 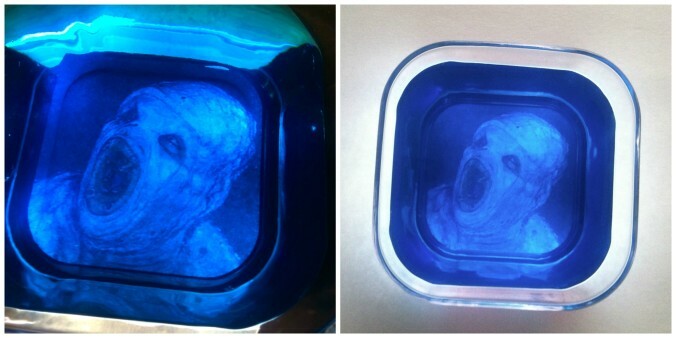 Just follow the instructions on the JELL-O package and your Flukeman will soon be floating blissfully in a sea of blue. Add boiling water to gelatin mix in medium bowl; stir 2 min. until completely dissolved. Stir in cold water. Now- you can choose to do this one of two ways… in one larger bowl like we did, or in smaller, individual portions. It all depends on what you are going to serve it in. We got our larger, square-shaped bowl at a local dollar store. Look for one without writing or etching on the bottom. We weren’t quite sure what size Flukeman we were going to use, so we printed out a few options- one 5×7 photo and one 4×6. It may depend solely on the size bowl that you are using, but we found that both sizes worked well with our square bowl. In the end, we decided to go for maximum Flukeman and chose the larger photo cropped just to his face. Cut your Flukeman image to fit on the bottom of your bowl. You can leave the background intact like we did, or you can cut him out along the outside edge of the image itself. Use whichever look you like better. Then, once the JELL-O is firm, you can use a tiny bit of clear, non-toxic glue around the front edge of the image to hold it in place to the bottom of your bowl. Place the image face up on a table or countertop, and put a small amount of glue around the edge. Easily Entertained tip: Look through the bottom of the bowl to see where your Flukeman looks best. When you are happy with his placement, press the bowl down on top of the image and let it sit for a few minuets until your glue has a chance to dry. Hopefully at this point, your friends and fellow x-philes will applaud your ingenuity for taking one of the series grossest creatures and turning it into a delicious dessert. Huzzah! Lime green chocolate melts. Wilton or Bakerella. 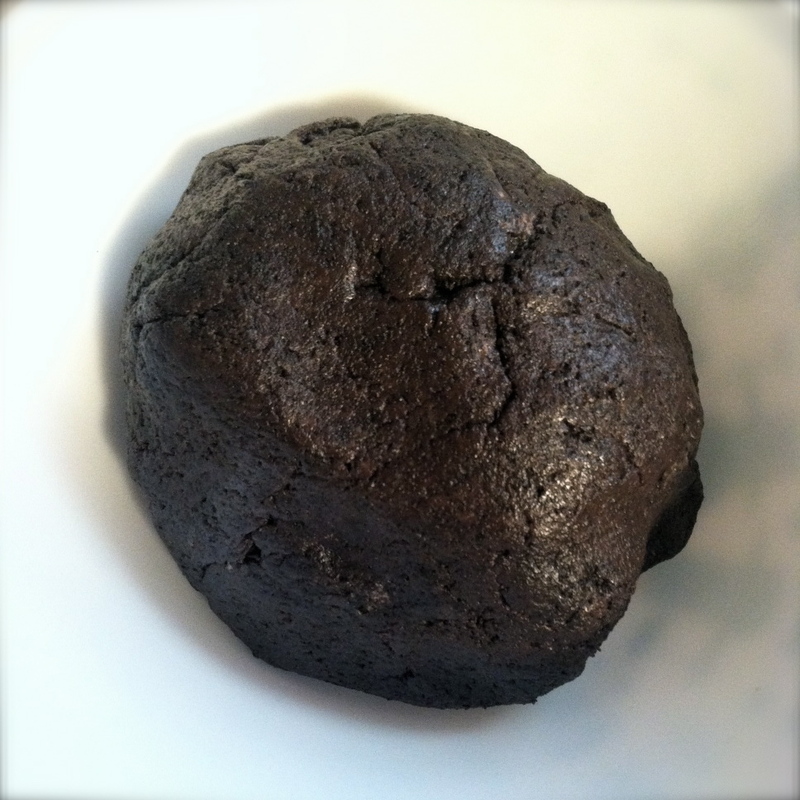 Throw all of the cookies into the food processor or into a Ziplock bag and crush them into a fine consistency. If using the bag method you can then use a rolling pin, rubber mallet or even a can of soup to crush them by whacking the outside of the sealed bag. (The goal here is to keep all of the crumbs inside of the bag and not all over your kitchen!) We prefer the food processor method because it results in more evenly crushed cookies, but either process is fine. Once the cookies are crushed, scoop out 3-4 tablespoons and place them aside. These will be used later to sprinkle on top of the pops. Next, stir in the entire package of softened cream cheese. 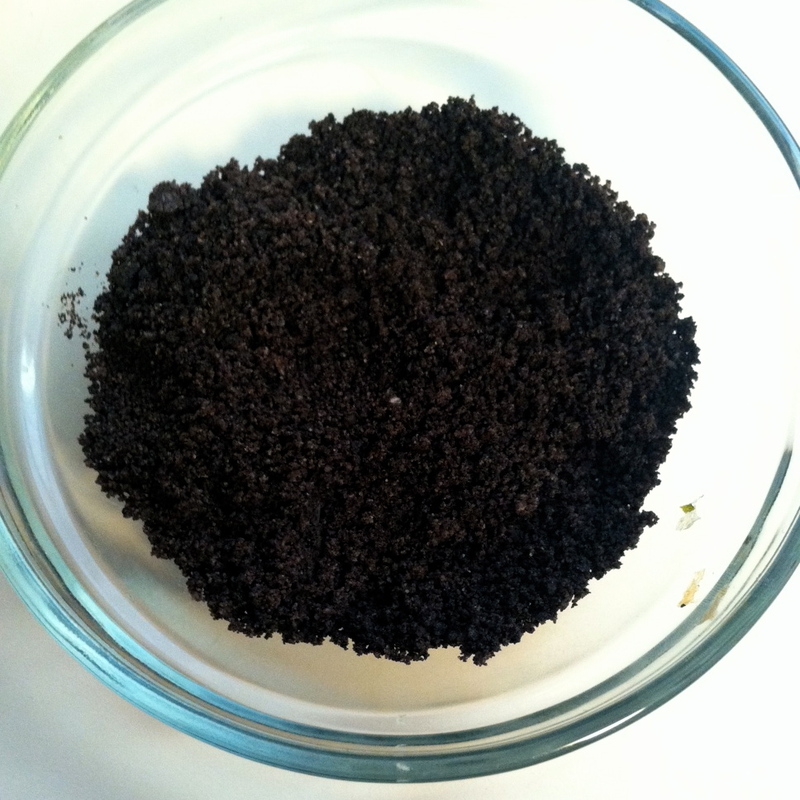 Using the back of a wooden spoon or your hands to combine it with the crushed Oreos. When you are done, it should look more like a dough. You can then use a tablespoon to scoop out portions or use a knife to cut the dough into inch squares. Roll this mixture into 1 inch balls, (You should get about 36.) place on a plate or foil, parchment or wax paper covered cookie sheet and put into the fridge. While your truffles are chilling, melt chocolate as directed on the package. We prefer using a double boiler on the stove or placing a heat safe bowl over a smaller pot filled with simmering water, but the microwave method is also fine. There are two ways to make the pops- you can dip them in the chocolate and place them pop down on a foil, parchment or wax paper cookie sheet so that they stand up on their own, or you can dip them pop down and stick them into a foam block so that they are more like lollipops. We went with the lollipop approach. Once the chocolate is melted, take a few of the truffles out of the fridge. The colder they are the easier they are to dip. If they are too soft, they tend to fall off of the sticks in during the dipping process. Dip the very edge of the stick into the chocolate and then stick that end into the truffle pushing in about ¾ of the way in. This holds the stick in place and makes it easier and less messy to cover the rest of the truffle in the chocolate. Now dip the entire truffle into the chocolate rolling it around until it is fully covered and the chocolate meets up to the stick. Let some of the chocolate drip back into your bowl so it’s not too gloppy when place it onto your cookie sheet or stick it into your foam block. If using a cookie sheet, place it down and sprinkle a tiny bit of the reserved cookie crumbs over the chocolate. If sticking them upright into a Styrofoam block, sprinkle the crumbs on over a paper plate or small bowl before placing them into the foam. Easily Entertained tip: if using a Styrofoam sheet, take a stick before you begin and pre-poke holes about and inch and a half apart on the entire surface of the foam sheet. Push the stick about ¾ of the way into the foam. This will make it easier later when you are trying to stand up the chocolate covered truffle pops. The chocolate dries quickly, so you will need to sprinkle the crumbs onto each pop right after you dip it. While the pops are drying, cut out your alien designs. We printed them out on cardstock so they would be a little thicker and hold up to the glue. Once all the pops are dry, you can put them into the bags and use the ribbon or twist ties to seal them and attach the decorative tags. Normally we would use a small hole punch on the tags and attach them to the pops with the ribbon/twist ties, but this design was a little too small for that. Instead, we used a tiny bit of hot glue to attach it the cellophane just below the pop. 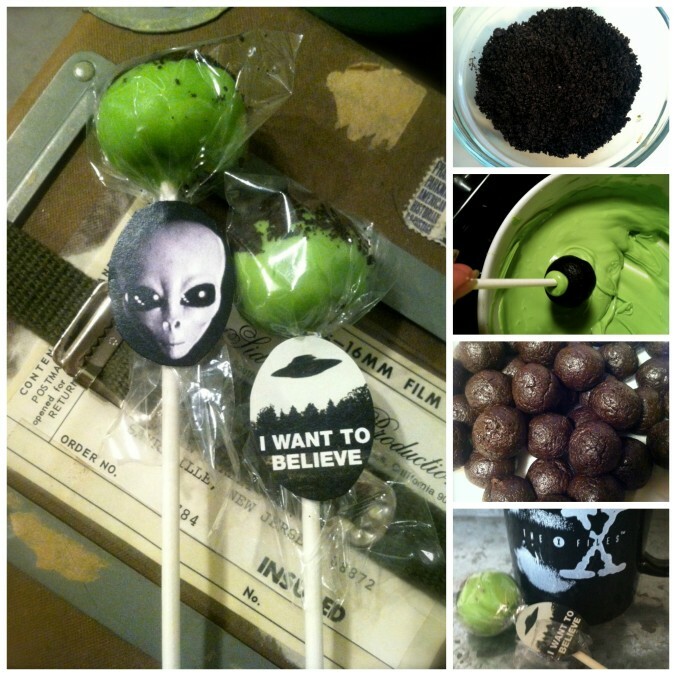 And there you have it folks- the perfect sweet treat for the alien and Oreo loving fans at your viewing party. Enjoy! 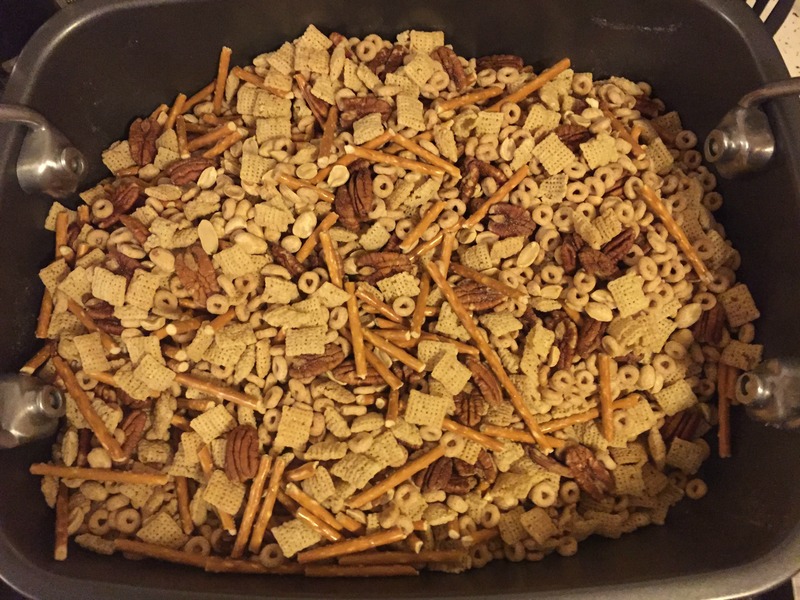 Chex mix is the ultimate one handed snack. Whether you are playing a game, holiding a beer (or a baby) or even learning to cope after the Russian mob cut off your arm like everyone’s favorite X-files villain. 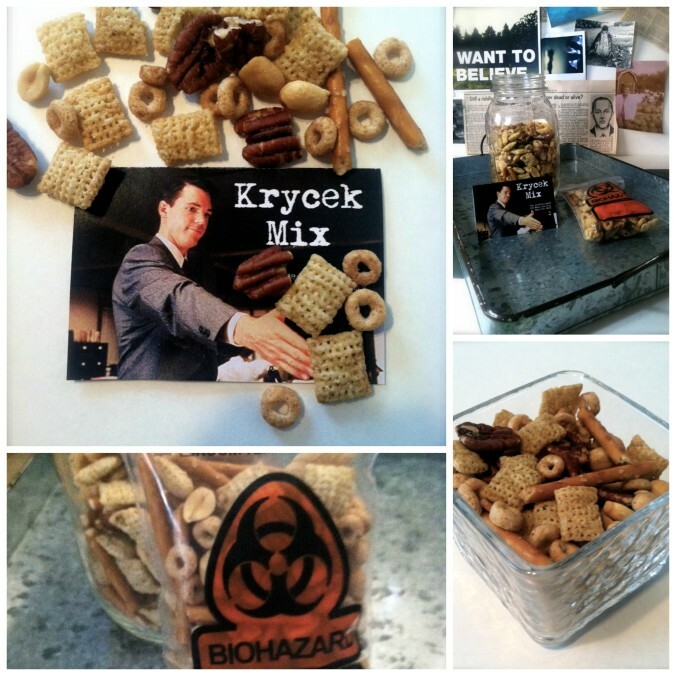 To pay homage to Alex Krycek we decided to make an old family recipe for chex mix (or goop as my grandmother called it). First melt butter in a bowl in the microwave. Then, add in the Worcestershire sauce and salts to the melted butter. Mix well. Add all dry ingredients in a large turkey roasting pan. Easily Entertained Tip: Use a large roasting pan with a smooth bottom so the butter and spices don’t get caught. We used the Circulon non stick pan. Pour the butter and spices over and mix well. Bake at 250 degrees for 2 hours, stirring every 1/2 hour. Cool thoroughly. Makes 5 1/2 quarts. 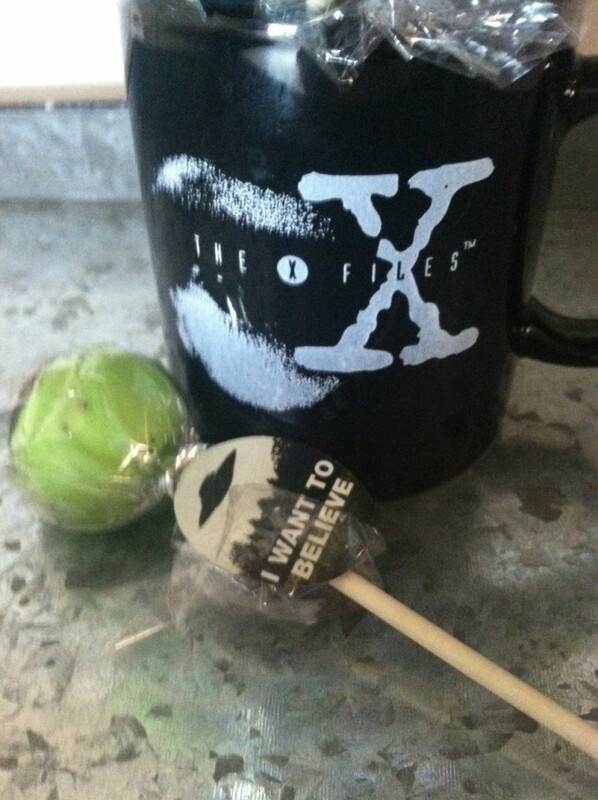 As we get ready for the final episode of season 10, we will be sharing some X-Files themed recipes that will help make your viewing party out of this world! 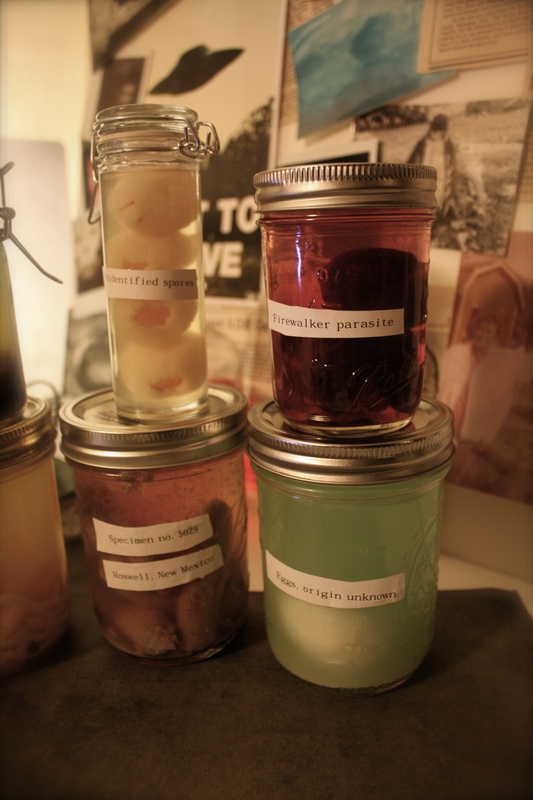 Wow (or perhaps repulse) your guests with this series of specimen-themed drinks and treats that taste waaaay better than they look. Your guests will be amazed that these aren’t only for display. 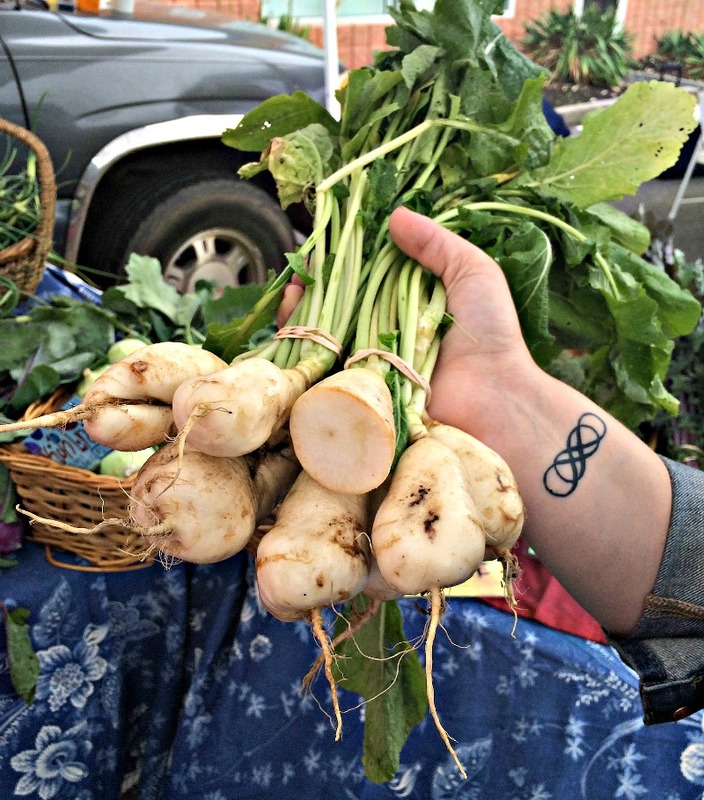 Taking inspiration from this post by Evil Mad Scientist we scoured the grocery store for ideas and inspiration. 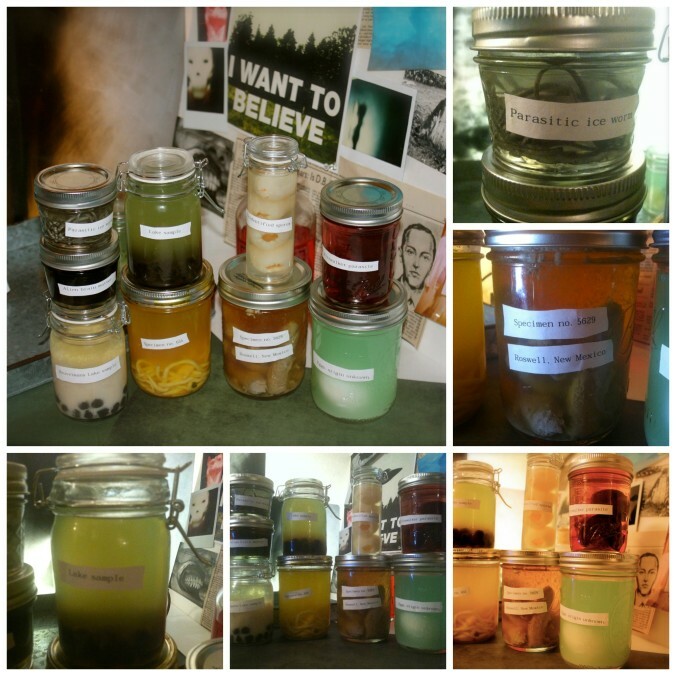 A selection of jars and other sealed glass containers. A selection of canned fruits, broths, noodles, teas, etc. depending on what you want to combine. Since we are all fans of bubble tea, our first thought was that we needed some tapioca pearls. We’re lucky enough to frequent a fabulous place called ViVi Bubble Tea and they were nice enough to give us a big scoop of already softened large, black pearls. You can make your own by cooking 1 1/2 cups large black tapioca in boiling water for about 6 minutes. Then turn off heat, cover and let sit for 30 minutes. Make simple syrup by bringing a cup each of water and sugar to a boil. Once all the sugar is dissolved, transfer the syrup to a bowl. Then drain the tapioca pearls and soak them in the simple syrup. 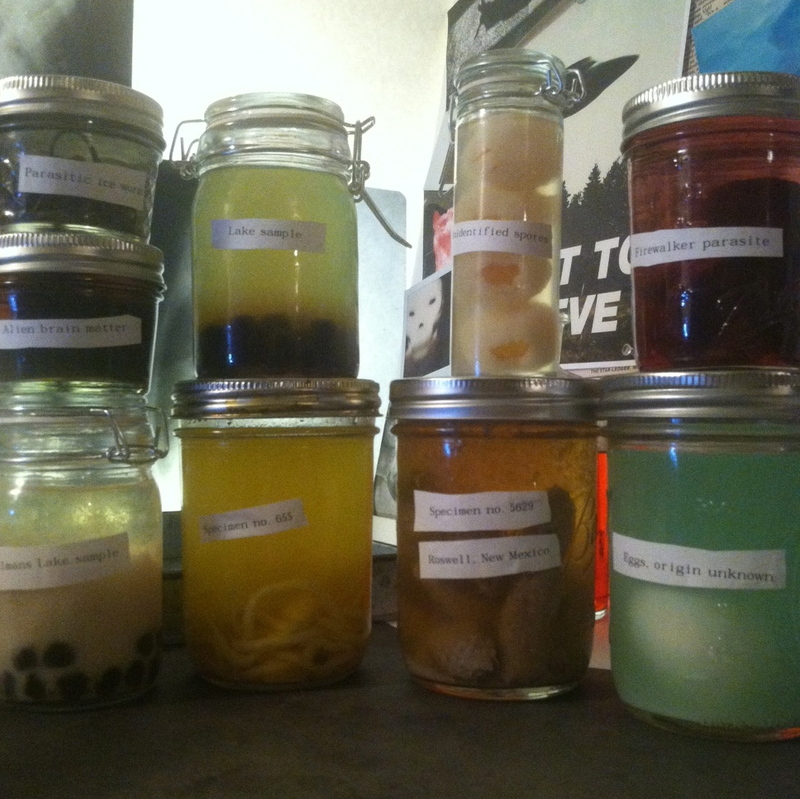 For our specimens, we added the pearls to cucumber flavored Gatorade, and our homemade lychee tea. 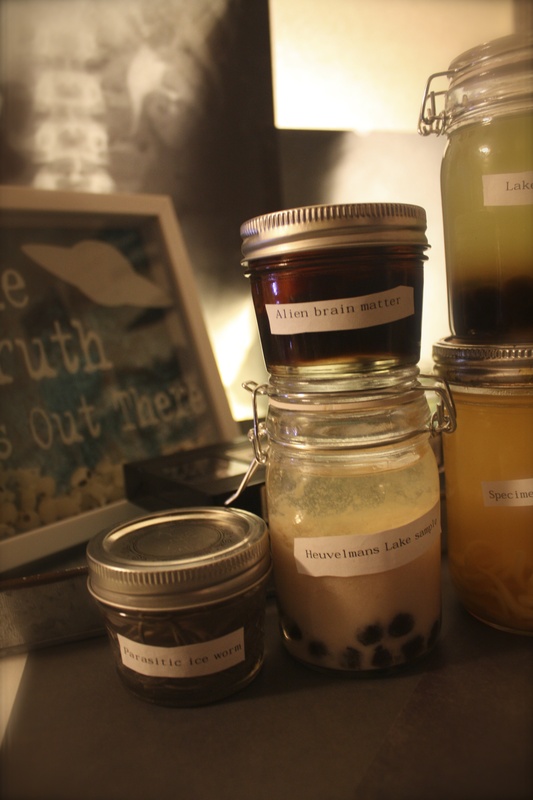 Add the prepared tapioca pearls to the bottom of your jars and pour the tea over it. Add some of the lychee syrup and condensed sweetened milk to taste and ice if desired. Attach the specimen label of your choice with a dab of glue. For the other jars, we used: canned plums in some of their syrup, the remaining lychees in their syrup, canned herbal jelly from Asian market also in tea, chicken noodle soup we bought pre-made from the grocery store, black bean noodles sautéed with garlic, olive oil, basil and red pepper and chicken sausage in chicken broth. From here the only limit is your imagination. Any number of different canned fruits, pickled vegetables, soups and drinks can be combined for a colorful array of edible treats for your more adventurous guests to try. 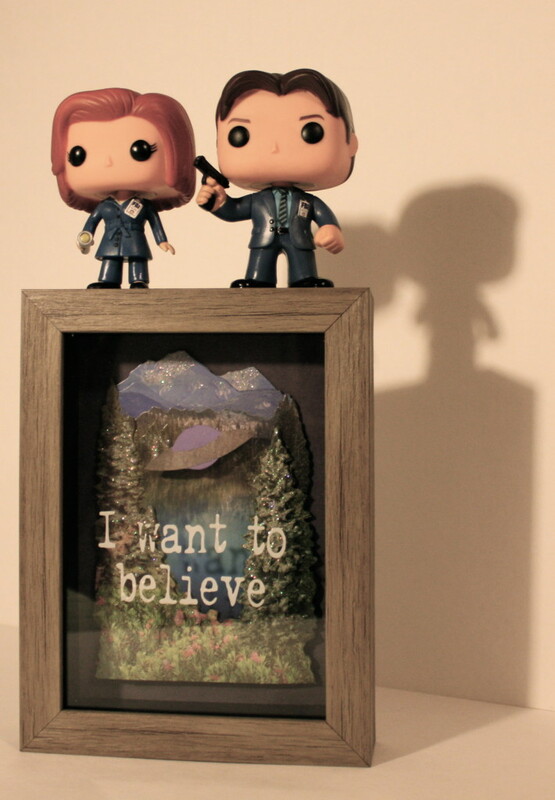 Bring the X-Files to your home or office with these decorative shadowboxes. 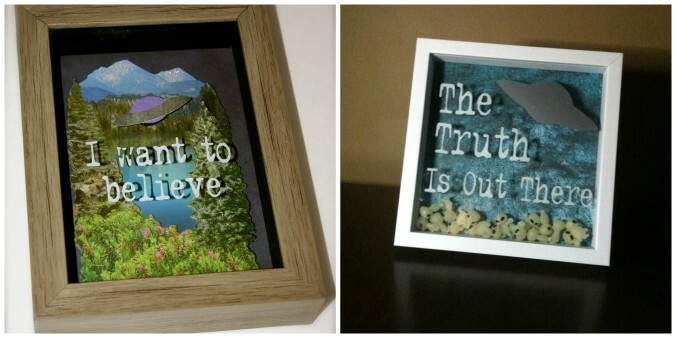 Sadly, we are almost out of new episodes…but here is a set of X-Files inspired frames that you can make to help you remember to always Believe and more importantly… to Trust No One. These are really easy to make! 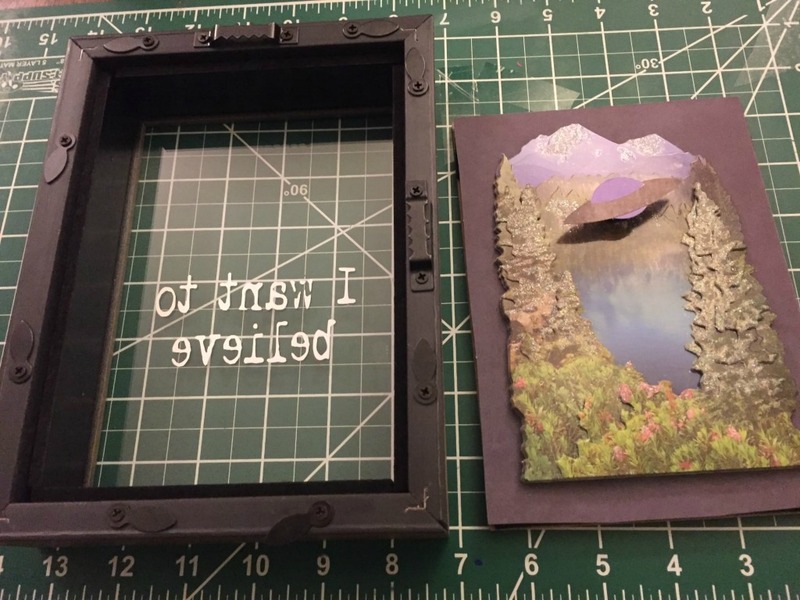 Cut the cardstock to fit the back of the shadowbox (this will be your background color and will be visible around the outside edge of your Mountain sticker, so choose a color that matches your design.) and it glue down. Then take the 3D sticker and attach it to the center of the backing. Use your Silhouette to cut out your vinyl stencil as well as your spaceship. Resize the I Want to Believe saying to fit inside of the rectangle, select both shapes, and click “Center” in the Align Window. Since we will be placing the text on the inside of the glass, remember to reverse it. Once the space ship is cut out, glue it to the foam backing (or foam dots) this will pop it off the background and give it some added dimension. Then glue it onto the mountain scene. Next, take the glass and place the phrase where you want it to sit. Make sure to use the right vinyl. You want to cut permanent adhesive vinyl like Oracal 651. It has a stronger adhesive on the back and is ideal for smaller designs like this. Cut your design, weed it, and get ready to apply it to the glass. Before you do, place a piece of paper on the table below the glass. This will help you ensure that you are applying the text evenly. Use clear transfer tape to move your design from the vinyl backing to the glass. Use as little tape as possible and cut the tape and the backing down as close to the vinyl as you can. Then peel off the tape to transfer it to the glass. Once the design is on the glass, carefully remove the transfer tape and burnish the vinyl down again with a Silhouette scraper. And a perfect finishing touch is to display the shadowbox with the Mulder and Scully Funko Pop Figures. Easily Entertained tip: Don’t have a cutting machine? Just print the saying onto a transparency and place in the frame! Start by cutting cardstock to fit the back of the frame and glue down. This time the cardstock will be the full background image, so choose something with a slight pattern that matches your design. Use your Silhouette to cut out the phrase and spaceship. Resize the Truth is Out There text to fit within the rectangle, select both shapes, and click “Center” in the Align Window. Make sure to reverse the text since we will be placing it on the inside of the glass. Cut your design, weed, and then apply the vinyl to the glass. 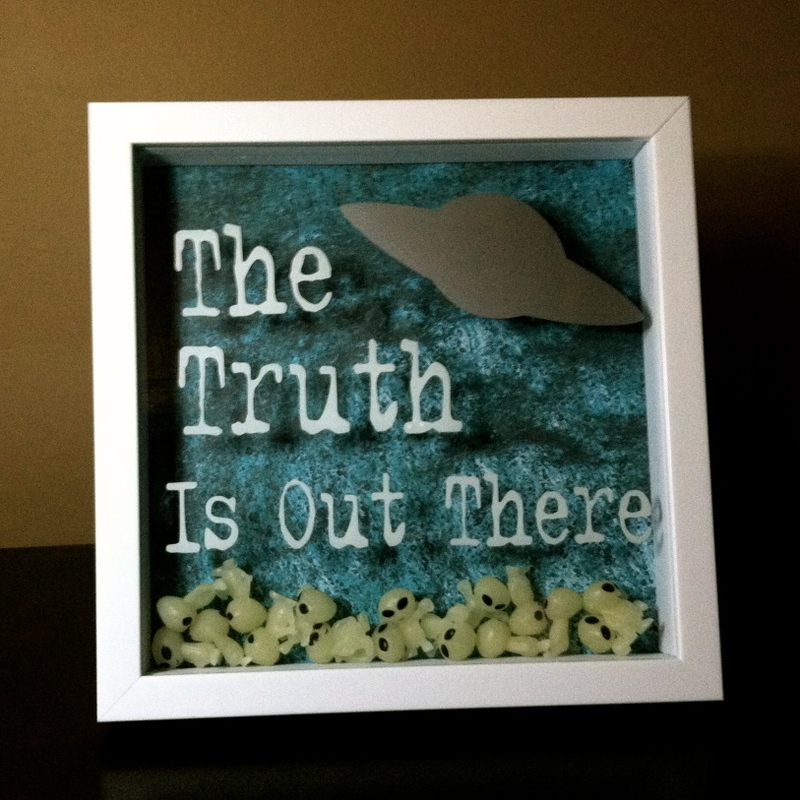 Once you have the vinyl phrase on, sprinkle the aliens into the bottom of the frame. Put the back of the frame back on to hold the aliens into place. 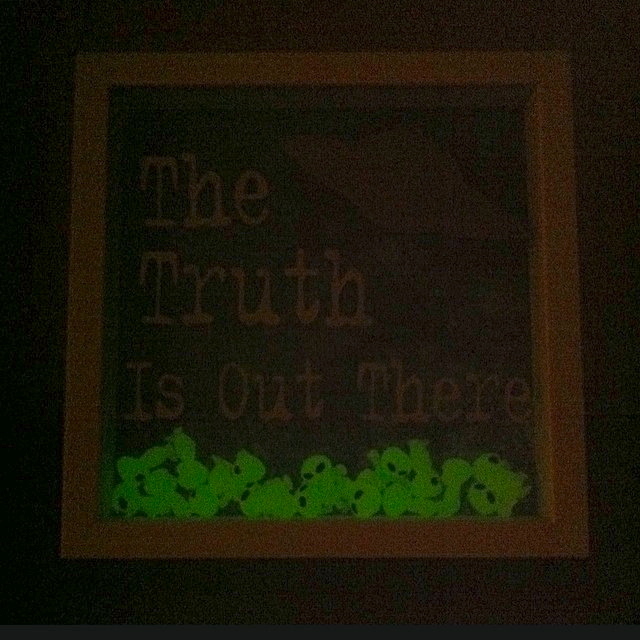 When complete, remember to place the frame under a light so that your aliens can charge and glow in the dark.